To share my love and excitement for Harmony Box, a new Canadian subscription box, we’re giving away a July Harmony Box (valued at over $90.00) on the Turquoise Compass Facebook page! I had the opportunity to try out Harmony Box’s May and June shipments and have fallen in love with each and every product. I couldn’t help but want all of you to know about it too! Why not win one to try out? 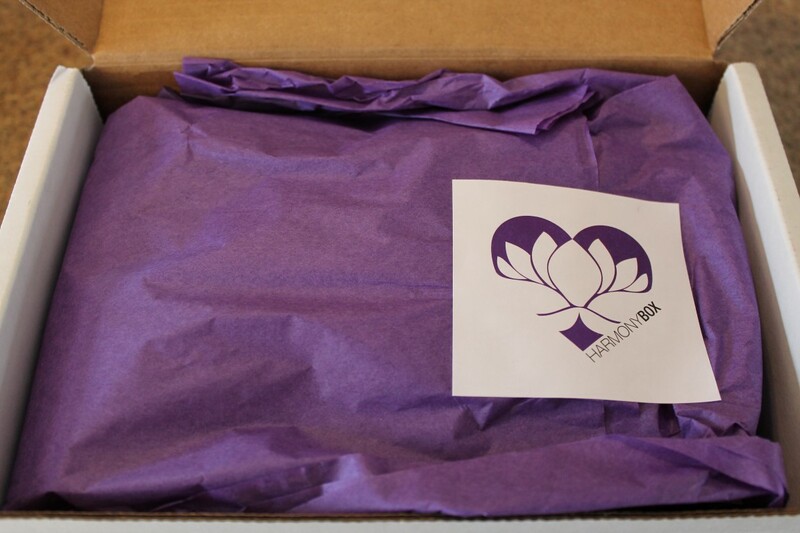 Who- Lovers of all things yoga, health & fitness, and wellness will fall in love with Harmony Box. What- Harmony Box is a Canadian premier yoga and wellness subscription box, which provides subscribers with a monthly dose of tranquility. Why- Harmony Box sends out the highest quality of Canadian-made products, 100% vegetarian products, socially responsible products, products that are not tested on animals, and products that will enhance your healthy lifestyle. 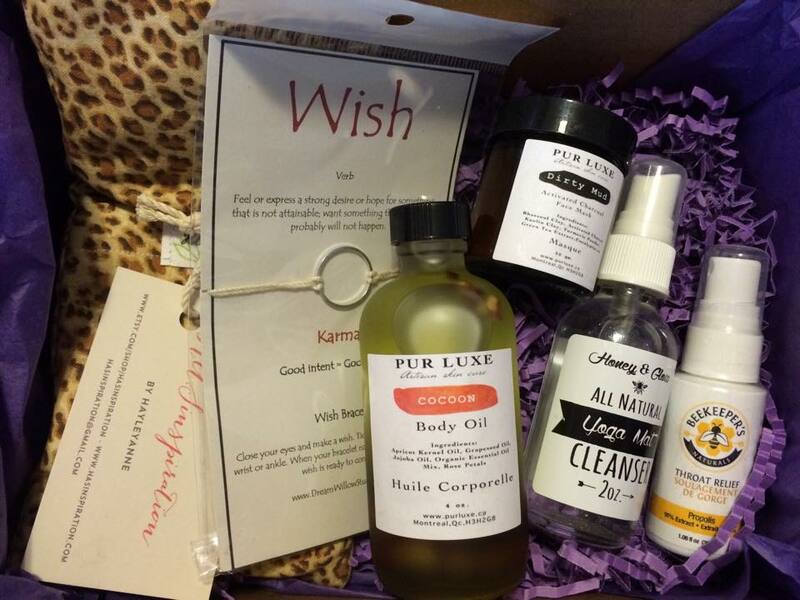 When- Each month, subscribers will receive a box delivered to their door filled with 4-6 one of a kind products. 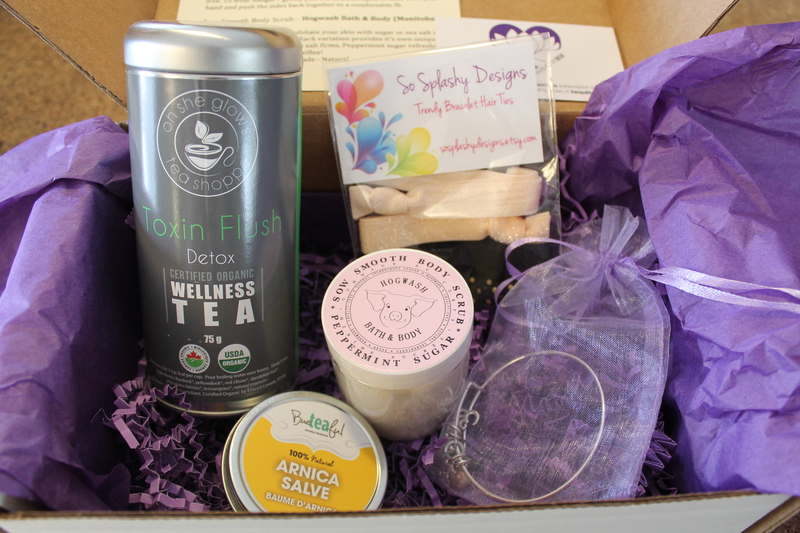 Harmony Box also offers a mini box featuring 3 of the 4-6 featured items in addition to the regular Harmony Box monthly subscription. Where- Harmony Box currently ships only within Canada. How- Depending on how many months you want to subscribe for (1 month to 6 months at a time), the subscription gets cheaper the longer you’d like to subscribe. Want to get one for free? Enter today to win! *For additional entries, follow Turquoise Compass and Harmony Box on Instagram and Pinterest and comment on a post on each page with something like- “Sign me up for the #HarmonyBox contest #TurquoiseCompass!”, while tagging 1 friend or more to share the news of this exciting giveaway. Contest Disclaimer– The contest will end on July 18th, 2015, at 12:00am Atlantic Standard Time. The contest winner will be notified after July 19th. The winner must respond within 48 hours or another winner will be selected. The contest is open to Canadian residents only–must have a Canadian mailing address. Check out Turquoise Compass and Harmony Box on social media for a sneak peek–get an insider look at some of the items which have been included in the May and June box! Items like yoga apparel, yoga props, healthy snacks, skin and beauty products, candles, jewelry, etc… are often included in the box. Thanks Harmony Box for proving this amazing opportunity! This entry was posted in Lifestyle, Yoga and tagged Contest, Fitness, Giveaway, Harmony Box, Harmony Box Canada, Health, Subscription Box, Turquoise Compass, Wellness, Yoga by Turquoise Compass. Bookmark the permalink. That would be wonderful. Unfortunately, not all companies ship world-wide. I’ve yet to be to Norway, but I need to visit~! That would be so wonderful. Thank you so much for the offer. We will be sure to let you know.